An event by Doctors with Africa CUAMM UK and the Italian Society of King’s College London. 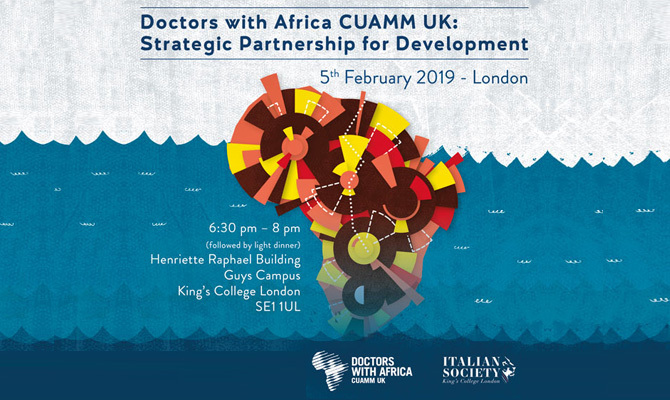 On February 5th, in London, Doctors with Africa CUAMM UK and the Italian Society of King’s College London will organize an event titled Doctors with Africa CUAMM UK: Strategic Partnership for Development. Aim of the event will be to introduce the public to the work of Doctors with Africa CUAMM in Africa and to the importance of creating strategic partnership and seeking integration within the local system in a complex and changing environment to achieve better results in guaranteeing the right to health for all, especially the most vulnerable populations.